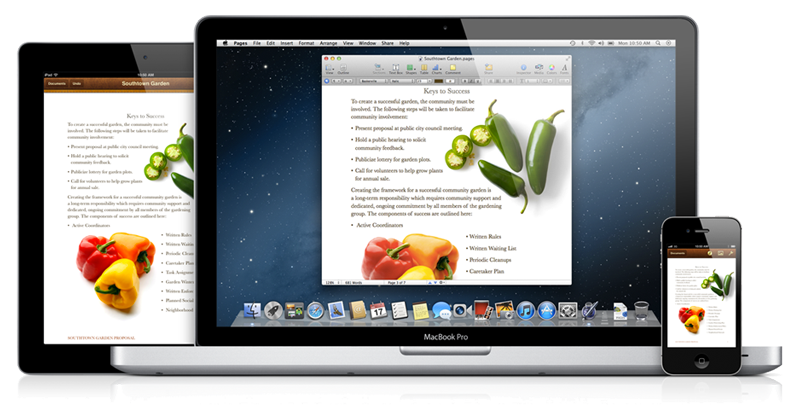 Apple's upcoming "Mountain Lion" release of Mac OS X 10.8 is borrowing a feature from Microsoft: the prerelease software is being shown to journalists before developers. For the first time in Mac OS X's history, Apple has presented journalists with a product briefing and prerelease copy of the operating system one week before making it available to developers. The company has historically reserved access to its prerelease software exclusively for developers who have signed a Non Disclosure Agreement. For years, Apple remained a minority alternative to Windows, forcing the company to operate under shrouds of secrecy in order to pull off dramatic product unveilings that its competitors couldn't immediately copy. However, with the five year head start in mobile devices afforded by iOS, as well as its commanding lead in PC sales growth, Apple is now in a clear leadership position for unveiling product strategies. Last year's release of Mac OS X Lion was first publicly unveiled in a preview delivered by Steve Jobs in October 2010, but the media wasn't given an advanced look at the new software. Instead, Apple kept the release under NDA, a strategy that was largely ineffectual as many developers continued to leak builds that were widely disseminated through file sharing networks. As a result, rather than being able to manage the messaging of Lion, Apple found that many of its new features were leaked out to the point where they weren't surprises anymore when Lion was actually released. Apple's NDA policies for Mac OS X Lion were largely just preventing journalists from commenting on the product while allowing the public (often led by Apple's detractors) to critically examine it, without a full understanding of what the changes meant. Apple's NDA also prevented developers from commenting on the new software until it was released. For Mountain Lion, Apple has turned down its legendary secrecy a notch and has instead started promoting its software the same way it has promoted hardware since the iPhone, offering journalists an early and curated demonstration of its features. Apple's first major preview of an unannounced product in recent years was Apple TV, followed by the iPhone a few months later at the beginning of 2007. Both products were detailed by Jobs several months before they were available for sale, an uncommon event for Apple. Microsoft has done this throughout its history, although it has typically worked to unveil its plans far further out, often starting to promote its software plans two years in advance, a strategy denigrated with the term "vaporware." In contrast, Mountain Lion is expected to ship less than four months from now. Apple's new public relations policy meshes with the company's overall release strategy for Mac OS X, which will now get an annual release as the platform enters its second decade of development. Mountain Lion will ship this summer, presumably at or around Apple's Worldwide Developer Conference, and Apple will continue to deliver incremental annual updates that maintain a parity of sorts with new iOS releases, an expansion of the technology sharing that has already occured between the two products at regular intervals. Apple's chief executive Tim Cook commented that the two products are "one with incremental functionality"
Apple originally delivered its first three major new reference releases of Mac OS X as quickly as possible, but after years of rapid, major new OS releases, the company announced it would target an 18 month schedule to give developers more time to digest the significant changes being made to its core infrastructure, middleware services, public APIs and user interface elements. 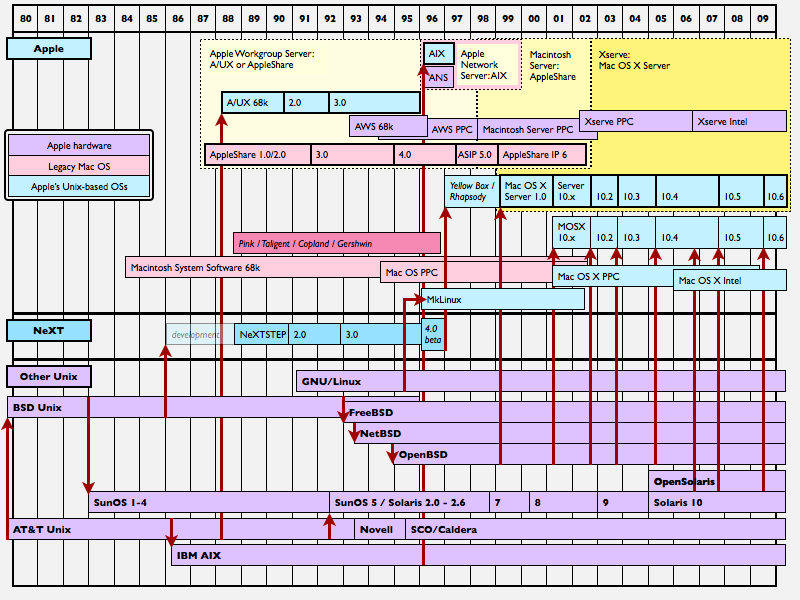 While preparing to release iPhone and its iOS (essentially the mobile-optimized version of OS X), Apple's 18 month schedule for pushing out new Mac OS X releases got delayed, pushing 10.5 Leopard from its planned summer release to October 2007. After five years of annual iOS releases, Apple is now shifting Mac OS X to the same schedule, as both products have now matured to the point where they share more technologies (including AirPlay, iCloud, FaceTime, Messages, an App Store, Notification Center, Cocoa development tools and APIs) than their obvious differentiations (the Mac's mouse and keyboard focus versus iOS' multitouch).